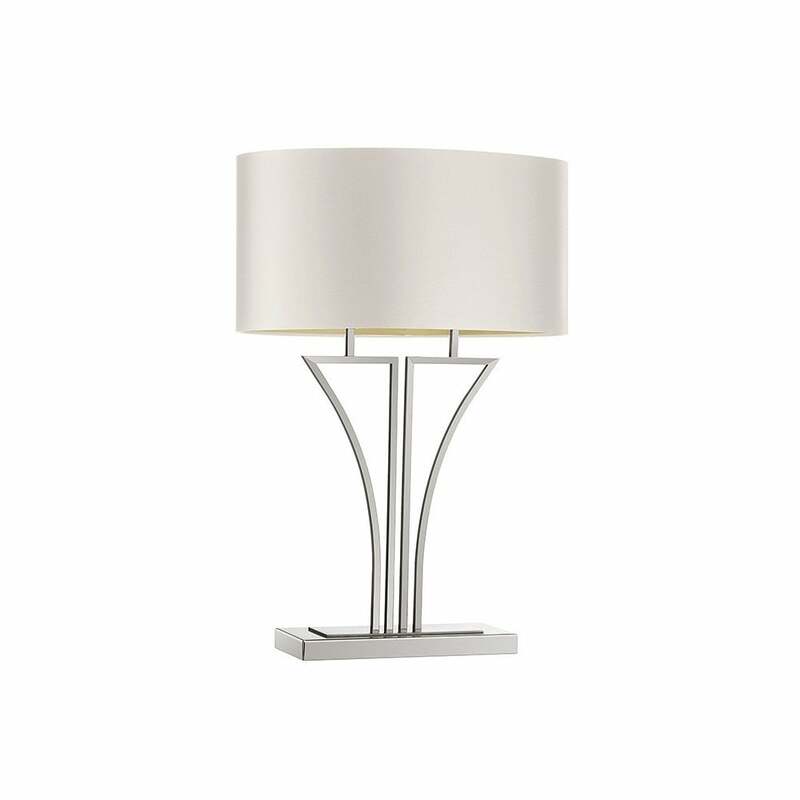 The daring linear shapes are a signature feature of the Yves table lamp from Heathfield & Co. Inspired by geometric patterns from the Art Deco era, the square sections are crafted using tubing to create a statement effect. The impactful design of the base is available in antique brass or nickel finishes. Add a bold brushed satin shade in dark block colouring for contrasting visual impact. For a cohesive illumination scheme, style the Yves table lamp alongside the complementary wall light in the range. Priced for 20" Yves Oval shade in silk with white PVC lining. Please contact us for other options.